"I have confidence C that hypothesis H has probability P."
in the context of our quest to find a meaningful interpretation for this kind of thing. People with some statistical training often begin instinctively to analogise to 'confidence intervals', and specifically about the 'probability' element. Is confidence related to a confidence interval around the 'P' figure? The idea here is that if we think the true figure for P is between 55% and 65%, perhaps we will have a higher confidence than if we think it's between 40% and 80%? The idea that analytical confidence - confidence in the stated probability of a hypothesis - is something to do with confidence intervals carries a lot of problematic baggage. It presupposes that we can talk meaningfully about ranges of probabilities. This idea is much more complex than it seems, and we'll look at it in a forthcoming post. But before we look at that idea in detail, it is worth setting out for non-statisticians what a 'confidence interval' is. 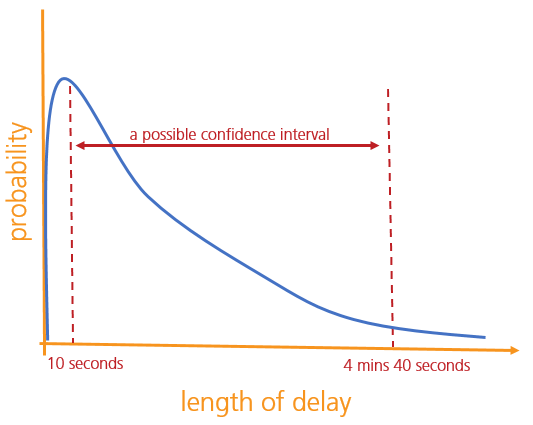 In particular, it's important to realise that a 'confidence interval' is a range of hypotheses. It's not possible to ascribe a 'confidence interval' to a specific hypothesis, such as 'H' in the generic sentence above. To explain exactly why, we'll need to look in a bit more detail at two types of hypotheses: orderable, and non-orderable. "I run out of petrol." "I get a flat tyre." "I crash into a lamp-post." and so on. These hypotheses are not meaningfully orderable. Of course, you could put them in alphabetical order, or arbitrarily number them, but the phenomena they describe are not naturally more or less of each other; engine failure is not a particularly extreme form of flat tyre, for example. 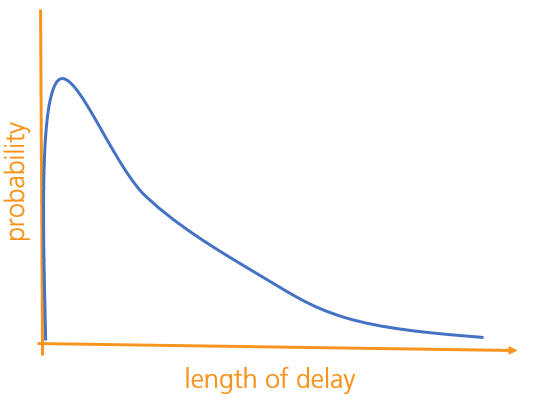 "The train is delayed by 0-1 minutes"
"The train is delayed by 1-2 minutes"
"The train is delayed by 2-3 minutes"
"The train is delayed by 3-4 minutes"
We might then be able to find some interesting metrics about this distribution, like its mean, standard deviation, maximum and so on. 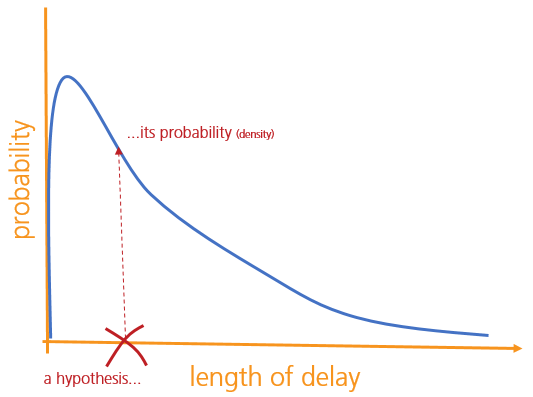 One important thing to bear in mind, though, is that each hypothesis - each possible delay-length - has just one probability associated with it, and not a range of them. A confidence interval is a collection of hypotheses; it's not a concept that can be meaningfully applied to a particular hypothesis. With that point established, in the next post we'll look at the various competing theories of 'analytical confidence', before examining them closely to see which ones hold water.